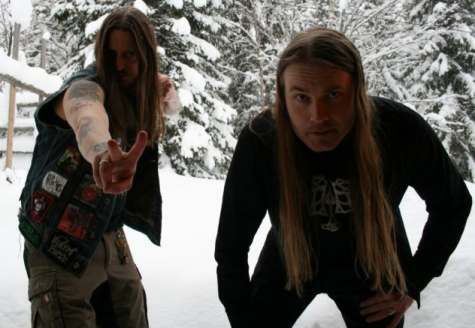 Darkthrone needs no introduction. Their influence on extreme metal is almost unparalleled and with albums like “Soulside Journey”, “A Blaze in the Northern Sky”, “Under a Funeral Moon” and “Transilvanian Hunger” the band has more than their share of timeless classics. After conquering all they possible could in the black metal category the band changed their approach and started infusing elements of crust punk and heavy metal though never entirely moving from their roots. This started from their album in 2006 entitled ‘The Cult is Alive’ and the band proceeded to release a string of albums that sounded rather different from each other though never they were all essentially Black/Crust albums with hints of heavy metal. It was evident from the aural experience as well as the lyrics that the band were having fun, which you can’t blame them for as they had no option left since they had contributed literally nothing and went through an extended lean patch after releasing ‘Panzerfaust’. 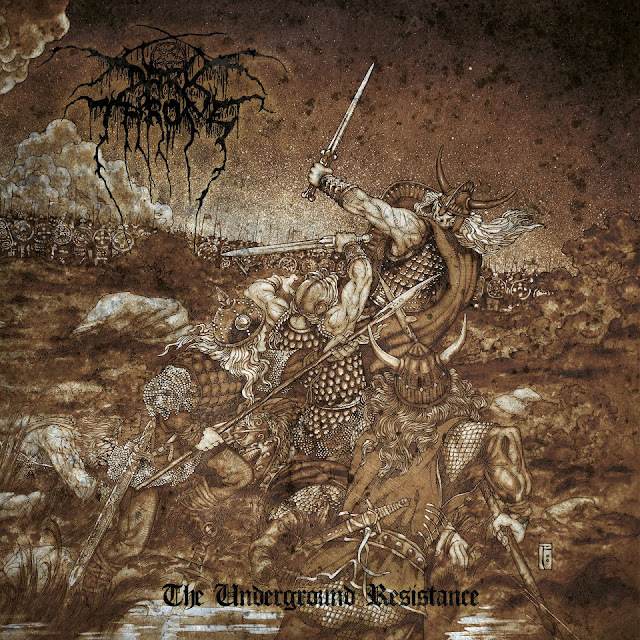 Any other band would have been done and dusted by now but since the releases however mediocre and poor they were carried the honourable Darkthrone tag the band managed to stretch out a carrier which has extended more than 2 decades now. Anyone who has been following the band, even if it has only been from their punk infused music days (however unlikely that may be), one thing has been evident. That has been the gradual shift from crust and the inclusion of the more traditional, heavier and thrashier sound. So, as the band releases its 16th (!!!) album on Peaceville Records, a company that has worked with the biggest in the business like Opeth, Katatonia, Anathema and Pentagram to name a few, entitled ‘The Underground Resistance’ one could expect another album which embraced the traditional sound a bit more and let go of the punk attitude music a bit more. ‘The Underground Resistance’ is in a plethora of ways much much different from what the duo of Fenriz and Nocturno have ever done. Containing only 6 songs but lasting 42 minutes the band has opted for quality more than quantity and with long tracks the band will test the listener’s patience at times. The music on this record can be defined as a combination of Of Black Metal, Thrash metal, Heavy metal, speed metal, power metal and crust punk. It is not like the band choose to mesh all these genres together in each and every track but instead chose to pick a few of these genres per song and move on to the next and this is the reason no two tracks sound similar and make my job as a reviewer that much tougher because as much as I hate track by track reviews the band leaves me no choice here. Not a peace sign. A tribute to Celtic Frost's "To Mega Therion"
See ? Expect a lot of early Celtic Frost influence here. The album starts off with ‘Dead Early’ and as soon as it hits you one thing is clear and that is that the band unsurprisingly has shed the punk sound a bit more and embraced a heavier more traditional approach. If you’ve been a fan of the band’s last few albums there is no reason you shouldn’t enjoy this track with punky vocals and riffs (that would have made ‘Fast Eddie’ proud) played out with a tuning more suitable for a proper black metal album. Throughout the track the band plays with a Motorhead sensibility and even though it is less than 5 minutes in length it a bit dragged out. Nothing special this track and is a lukewarm album opener. It is the second track entitled ‘Valkyrie’ where things start getting interested. Starting off on an acoustic guitar this track is the unlikely mix of traditional metal, old school power metal mixed with a tingle of black metal. 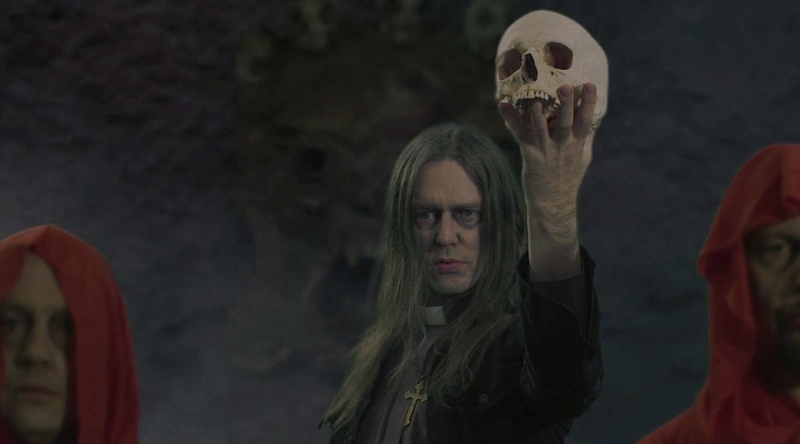 While the song structure if based on traditional metal Fenriz tries his hand on the operatic siren like power metal vocals while the cymbal work on the drums as well the guitar tuning is more suited to a typical black metal abum. As the soaring chorus of the track has a definite epic Manilla Road feel to it you cannot but praise the song writing skills the band has expressed here. The tempo changes, the placing everything here is brilliant, and as the track ends on a beautifully soaring melodic outo that conjures images of the artwork in your mind you can understand why this track will be many’s favourite track off of the record. Proceeding to track number three entitled ‘Lesser Men’ which starts off with a blatant rip off of the famous Mercyful Fate track named ‘A Dangerous Meeting’ the influence of Celtic Frost and Hellhammer in the drumming, vocals and riffs permeates through this track and acts as the precursor of what is to come for the rest of album. Yep, expect a lot of First Wave of Black metal worship from now. As contrasted to the previous track there are a lot of gruff Celtic Frost vocals here as well as the Hellhammer riffs. Also as contrasted to the previous track the song writing is bad and like the first track this song as well seems too stretched. The fourth track ‘The Ones You Left Behind’ is essentially more of the same stuff but instead of gruff vocals there is a duo of operatic vocals as well as raspy vocals. Like Valkyrie this track has a great melodic section here with an atmospheric build up and heavy metal influenced solo but the tempo change from this section to a more upbeat part is bad and really breaks the flow of what was a great track. It just seems forced and out of place. This brings us the last two tracks which length wise make up half the album. 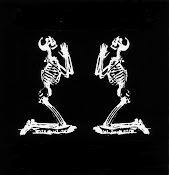 The first of these entitled ‘Come Warfare, The Entire Doom’ lasting more than 8 minutes sheds off all influences except Celtic Frost/Hellhammer with the simplistic heavy and catchy riffs with raspy vocals with a good bit of Venom thrown in. Even with the long track length it never gets tedious even with hardy any riffs and just one small guitar solo in the end. The last track is the epic of the album, and clocking in at 13:49 minutes (of course, the length has to deliberate, and for those who don’t know 1349 was the year of the infamous Bubonic Plague in Europe) entitled ‘Leave No Cross Unturned’. The riffs, the clean vocals which are at time operatic is the bands take on old school power metal. Fenriz never sounded better with his clean vocals approach and the track starts off strongly with his strong vocals and catchy riffs. 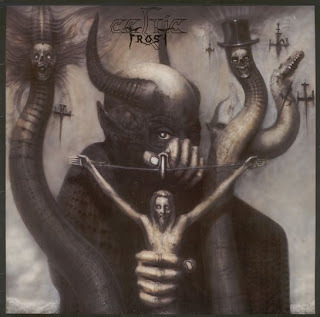 It doesn’t take long for the abundant Celtic Frost worship to come in once again with those simple catchy riffs, supporting drumming and gruff vocals. Amidst the tempo changes and the switching between Celtic Frost worship and old school power metal worship even though this song doesn’t have enough changes in the tempo or enough riffs to warrant the massive track length the band manages to pull it off in all its epicness and glory.